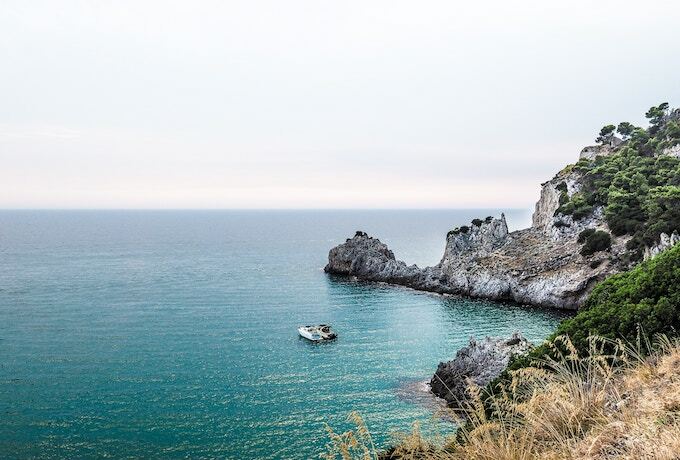 As you scroll through the travel section of Instagram, you’ve likely come across two of the most picturesque coastlines in Italy: the Amalfi Coast and Cinque Terre. 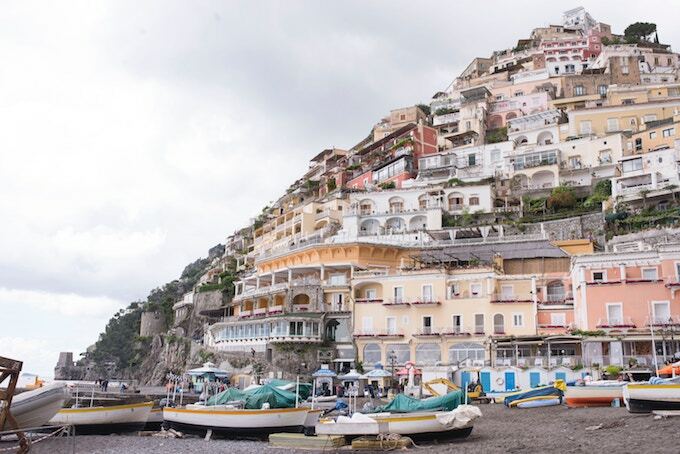 These instantly recognizable towns are what Italian dreams are made of – rustic, pastel-coloured buildings clinging to precariously large cliffs overlooking the shimmering ocean below. Upon first glance, the two coastal towns look very similar. But despite their charming similarities, the two spots have totally different vibes. Naturally, both destinations aren’t likely to disappoint you. But if you can only visit one, knowing the differences will make your decision a bit easier to make. 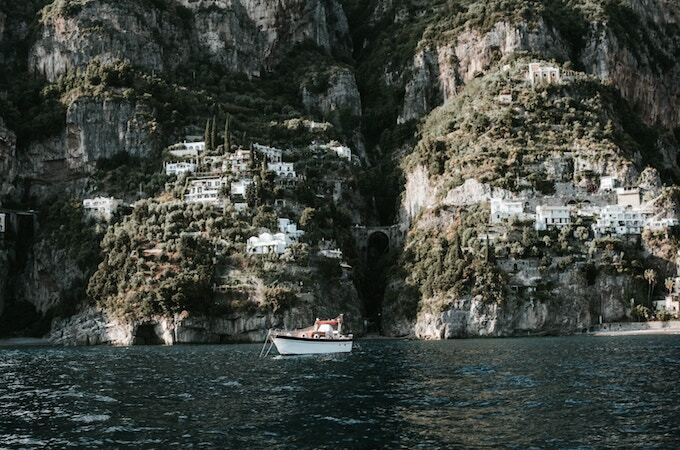 The Amalfi Coast is one of those places you really have to see to believe. Known for its beautiful beaches, serene ambiance, and vintage style, there’s always an undeniable sense of poshness and glamour in the air. Women flow through the streets in floral sundresses and bouncy sunhats, while the men sport their best loafers and collared shirts while they order espresso from the bakeries for breakfast. In every sense, the Amalfi Coast is timeless glam, from the views to the people and every winding street in between. You’ll feel like you’ve arrived on the set of a lavish movie and will want to drive down the coastline in a vintage blue convertible. The Amalfi Coast boasts a handful of cultural landmarks and historic sites that you won’t be able to find at Cinque Terre. The village of Positano is easily one of the biggest draws with its historic cobblestone streets and breathtaking beach views. There’s the beautiful villas and gardens of Ravello, the cathedrals of Salerno and Amalfi Town, a few small museums like the ceramics museum in Vietri Sul Mare – endless activities that will keep your days full. So if sightseeing and relaxing on the beach is what you’re after, the Amalfi Coast is likely the better choice. The Amalfi Coast’s peak season typically starts after Easter and runs until the end of September. Depending on what kind of experience you want, certain months are more favourable. July and August are the busiest months, promising beach days, concerts and festivals, privately chartered boats, and vibrant nightlife. While the most lively, it’s also the busiest, meaning you’re going to find accommodations, flights, and activities more expensive. Alternatively, many travellers opt to visit in the Spring, anytime between April and June. The flowers are in full bloom, the weather is pleasantly warm, and Mediterranean waters are warm enough for swimming. By September most of the tourists have left and the coastline is much quieter. That said, a lot of the shops and restaurants close up shop for the winter, meaning you’ll have less variety in terms of amenities. The Amalfi Coast is typically more expensive than Cinque Terre, regardless of when you visit, due to the coast’s history and culture as a posh resort area. Here you will find many more luxury hotels and 5-star restaurants that will naturally weigh more heavily on the wallet. Of course, there are more economical options, but the main centres (especially Positano) will come with an expensive price tag for visitors. The Amalfi Coast is best suited for travellers looking to spend their vacation time relaxing on the beach, enjoying fine food, and taking in romantic sunsets. Great for couples in search of romance, luxury travellers, or those who want to escape the everyday norms – the Almafi Coast is for you. Cinque Terre is a bit more down to earth. The region is home to five villages, all connected by hiking trails with unimaginable views of the Ligurian Sea and its coastline. These famous footpaths are one of the main draws to the area, bringing in thousands of hikers each year looking to idle through the charming villages on foot. This collection of backpackers makes Cinque Terre more of a youthful, adventurous destination with a wholesome, small-town feel. While still influenced by tourism, here you’ll find the amenities and sites feel a bit more authentic to Italian culture and history. 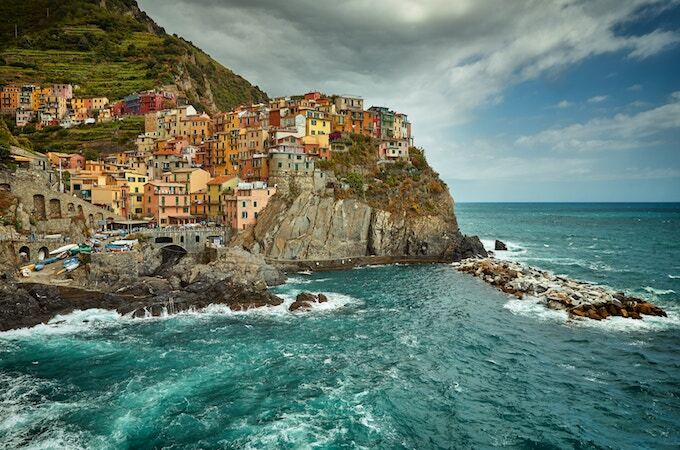 Cinque Terre tends to attract the more adventurous types – those looking for something beyond relaxation and luxury. While there’s less in Cinque Terre in terms of sightseeing, conquering the famed hiking paths is a must for any hiking enthusiast. The views along the path coming into Vernazza give you a full panorama of the village and the people you’ll meet along the way are part of the adventure. Because the trails are narrow, steep, and run along the cliffside, the trek is not for the faint of heart, making it a huge accomplishment for those who explore them. Cinque Terre’s seasons are slightly different from the Amalfi Coast’s, depending on what you’re interested in doing while you visit. For hiking, most of the trails are open by mid-March and remain open until mid-October. The closer to the summer the months get, the busier the trails will become, so be aware that hiking in July will be a much different experience than hiking in April. By late May to early June, the water is warm and you’ll be able to enjoy the beaches. By August the water is perfect, but the temperatures are very hot, meaning hiking may be uncomfortable. If you’re interested in visiting in the winter, the hiking trails won’t be open, but the villages will be preparing to celebrate Christmas, meaning the largest Presepe in the world opens in Manarola and La Spezia is decorated head to toe in Christmas lights. Cinque Terre’s rise in tourism is much more recent, meaning the area hasn’t developed into a luxury vacation destination. Most of the establishments here will be more affordable, family-run bed and breakfasts that fit the backpacker lifestyle. High-end options are available for luxury travellers, but budget-hunting backpackers will have a much easier time finding affordable accommodation here. 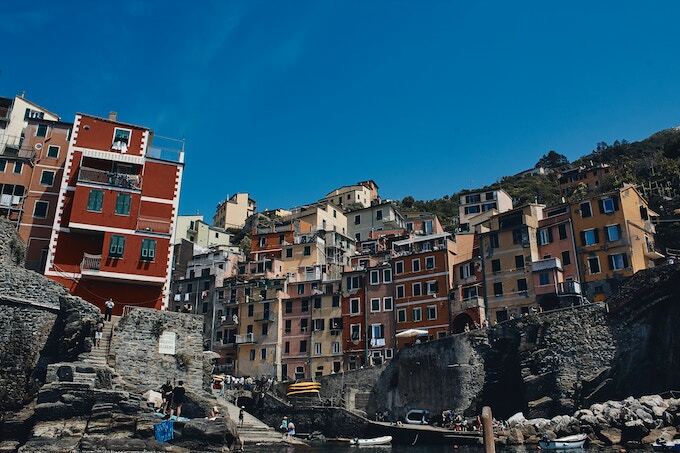 Cinque Terre is best suited for travellers who love to be on the go and are always in search of their next great adventure. 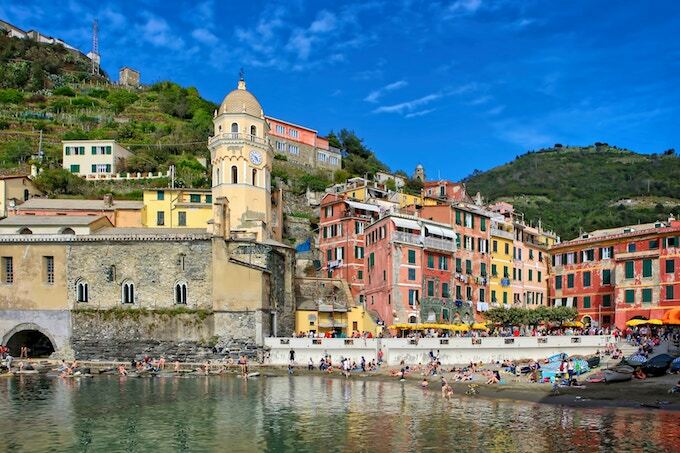 Great for hikers, backpackers, or budget travellers, Cinque Terre is a stunning piece of Italy’s history that won’t ever leave you wondering what you’re going to do next. No matter where you decide to go, you can’t really go wrong with either destination – regardless, you’ll get incredible views, world-famous food, and memories to last a lifetime. With a little research, you can discover the perfect region for your needs! Where would you prefer to visit? Jesse is a blogger and content creator who loves travel, the outdoors, and her dog, Molly. 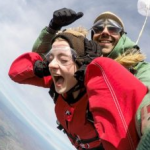 With a never-ending bucket list of places to go, she's is always up for an adventure and loves trying new things. When Jess isn't planning her next trip, she can be found watching Netflix documentaries, enjoying time by the water, or eating soft serve ice cream. Follow her on Instagram, Facebook, or check out her blog.